What makes a Quality Breeder? Choosing a new dog can be trickier than you think, Australian & International Breed Clubs have excellent articles on what are important things to consider for any breed & often have articles on what makes a quality breeder. Research fully so you can make informed decisions; look for evidence of good breeding practice and don’t be tricked by websites that imply things but may be not quite what they seem. Committed breeders will be passionate about their breed and usually show this commitment by being actively involved in breed clubs at some level. Sought after breeders will most times have a waiting list; they will talk to you about suitability for your lifestyle and not be afraid to suggest another breed that might suit better. Accountability is a factor in breeding purebred dogs and breeders will be members of the relevant ANKC Body in their State (for Australia) and so covered by a code of ethics. Soft Coated Wheaten Terriers (SCWT) are a healthy breed usually staying active into their teens. Because purebred breeders are accountable we strive to be aware of health matters that need to be considered when breeding. Kidney disease is an area where much work has been done. The major concern is Protein‑Losing Nephropathy (PLN) but 2012 was an exciting year with the development of a DNA test for carriers. This is a dominant disease meaning dogs with just one carrier are at risk. Do not accept "stories" that some breeders might want to tell. You need to ask for results from any pup; it has either been tested or is from homozygous clear parents, ask for reports. Carrier dogs are still potentially at risk of PLN and breeders should explain that. I do not breed dogs that are carriers. Routine blood & urine tests are still recommended to monitor kidneys and results should be available. I also breed away from any problematic lines. Renal Dysplasia (RD) is a rarely seen developmental kidney disease but it is important to keep monitoring. 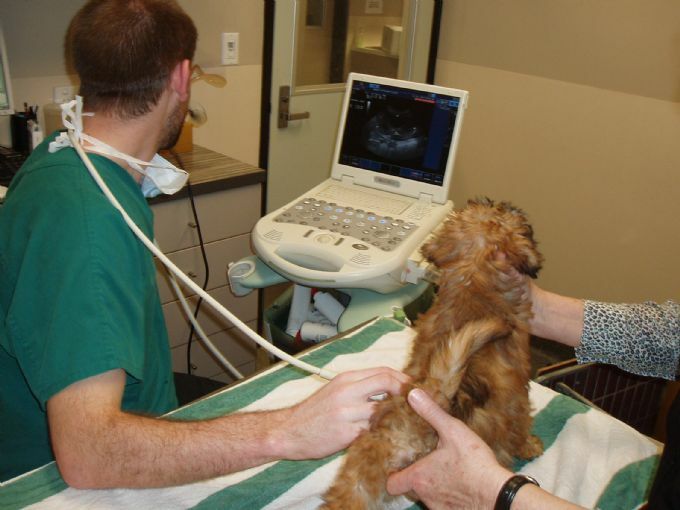 Fortunately these days ultra-sounding kidneys of breeding stock and pups at 8 weeks, is an effective tool for assessing kidney health. Hip and Elbow Scores are recommended as routine by International breed clubs. While there are few problems in the breed it is important to know what is being bred and ensure no issues arise through poor management. Choose from parents that have been scored, low values are what to look for. Eye Tests are also recommended, on adult breeding dogs, and on pups. Eyes change by 12 weeks so pups give a unique window of opportunity to establish data for the breed. There are few problems but like hips & elbows this testing ensures the breed stays healthy through good management. Ask for results on parents and your puppy. Informed breeders are now aware that outdated practices like line breeding (inbreeding) are coming under scrutiny because of the potential to compromise temperament and health, in the same way that human close breeding can cause problems. Computers give a calculation called a coefficient of inbreeding (COI). Committed breeders will know the COI for each breeding and should be able to at least give the value at 5 generations. Ask to see pedigrees and look for double ups of dogs. I aim for a value < 2 at 5 generations and most Saphyr breedings are Zero value. Research indicates that temperament is a largely inherited trait but good temperament needs to be developed properly from birth and continue through to maturity and beyond. Training using force free methods and temperament development is a passion for me, as I believe Wheatens are a wonderfully trainable and versatile breed. I have an internationally recognized behaviorist training qualification and expose my pups to a rich environment during their first 8 weeks. I always connect puppy buyers with quality trainers who come from word of mouth recommendations. I train my dogs just for fun but also in obedience and agility and have achieved titles with my dogs. I encourage membership of the Wheaten Training Matters Facebook group, established to encourage good manners development for Wheatens in their day a to day lives and dispel the myths of the “Wheaten greeting” and that Wheatens are cute because they are naughty. © Margaret Gray, 22 Nov. 2015, all rights reserved, no reproduction without permission.